The City Parks of Clarksburg has announced The Ultimate Queen Celebration Starring Marc Martel is set to perform at the Clarksburg Amphitheater on Thursday, July 11th, 2019. 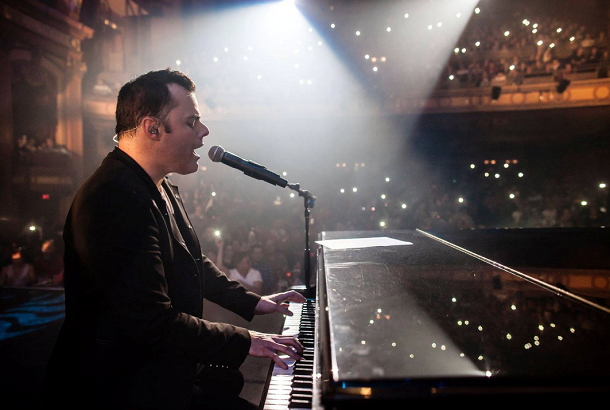 The Ultimate Queen Celebration Starring Marc Martel has sold out venues around the globe with their brilliant 2-hour performance. Martel, who has amassed over 125 million views on Facebook and YouTube singing Queen classics, is often described by many as Freddie Mercury reincarnated. There are few bigger and more iconic bands on the planet than Queen. Their 1975 masterpiece Bohemian Rhapsody recently became the most streamed song from the 20th century with over 1.6 billion streams. Tickets for the event will go on sale at 10am on Tuesday, April 16th, 2019. Advance tickets will be available by visiting www.ClarksburgAMP.com or by calling 866.973.9610. Advance tickets will be $15 for general admission, $25 for reserved seating and $30 for premium seating, which will include the first 7 rows from the stage. Day-of-Show tickets will increase $5 for each section and will be available at the venue unless they sell out prior to the event. For more information and future announcements about upcoming events, be sure to visit www.ClarksburgAMP.com or call 304.624.1655.